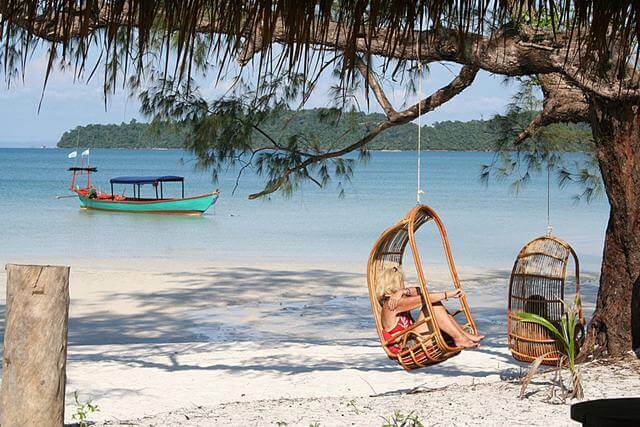 Home » Cambodia » Koh Rong Cambodia – Another Paradise Island to Visit This Year! Koh Rong may not be the unmarked wilderness as it once was, but it has lots of accommodation in many parts around the island. This is a great place for all expats to get the party time. In addition, you still can immerse yourself in tranquil moment on Long Set, Sok San or Coconut Beach...etc. 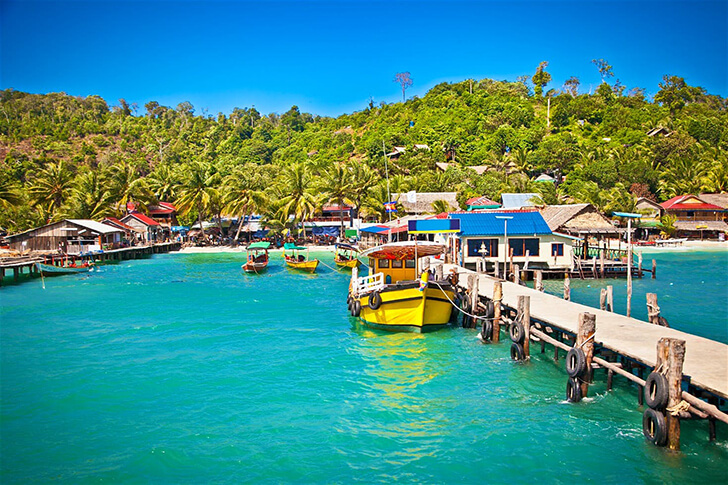 Actually, Koh Rong is a worthy destination on your list; especially in the summer. I. 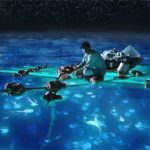 How to get to Koh Rong? In general, all expats will select the public or private boats or the helicopters as the means of transportation. 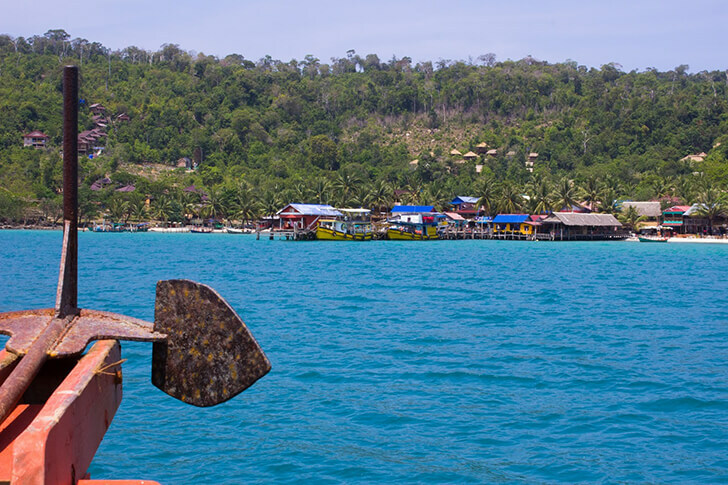 To come to the popular part of Koh Rong Cambodia which is KohToch, you have many options to choose from, like high-speed ferries which take around 1 hour to 1 hour and 30 minutes depending on the schedule. Please note that the schedules often change, so you need to confirm the time in advance. If you want to take somewhere other than KohToch, you should ask the guesthouse about transport. Koh Rong Dive Center has speedboats many times a day from Serendipity Pier in Sihanoukville to Koh Rong which named Speed Ferry Cambodia. Each speedboat has 125 seats, and the price is reasonable at $20 for one open return ticket. If you want a warranted seat, then you could buy tickets online through Speed Ferry Cambodia. In case you miss the ferry to Koh Rong, you enable to select a private boat. All local boats like Cambodian fishing boats are willing to go to Koh Rong. The cost is variable depending on the type you book. The average private boat price ranges from 100 USD to 150 USD. Each ticket includes a same-day return, so it is available to make a day trip to the island. It also sounds great! Most private boats can have about 15 seats, and the trip takes about two or three hours. If you want to stay longer, the price will increase. In case you choose the similar boat back, the cost will grow as well. Smaller boats, on the one hand, are available with eight seats and each ticket costs around 80 USD for a one-way trip only. Also, it is marginally more of a same-day return. You are able to find boats near the Serendipity Pier and directly book the ticket with a fisherman. Booking your ticket through a local travel agent is also not a bad idea. If you want to enjoy the sightseeing on the road, you will love to choose a helicopter to Koh Rong Cambodia. Unfortunately, there is not any real airport in Koh Rong, but you can land off the Song Saa Private Island. From Phnom Penh, you will take about 90 minutes to fly to Koh Rong. The price for this mode of transportation is higher than public and private boats. So, be sure to check your wallet before splashing out! 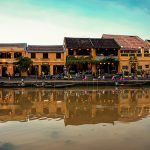 For example, Helistar Cambodia gives flights from Phnom Penh Airport to Koh Rong for over four thousand USD and Helicopters Cambodia begins from Phnom Penh Airport to Koh Rong has more than six thousand USD. 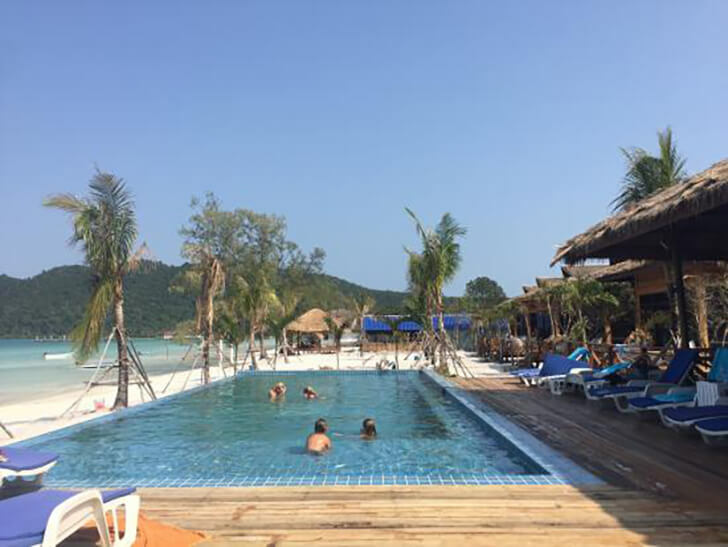 Fortunately, Koh Rong Cambodia is a well-known place for backpackers and other expats, so the accommodation price is not high. Also, there are bunches of hotels, guesthouses or bungalows to choose from. KokToch village is a great place for those who want to party and meet other expats, but it still has quiet atmosphere whenever you need. Here are a few examples of guesthouses for you to pick your one. Koh Rong Cambodia has about 23 white sand beaches so that tourists often have many activities to try and get experience. For some outdoor activities, there are many outdoors through trekking activities in the jungle. Furthermore, you can try diving and snorkeling because these are both excellent on the beach. Probably, the greatest activity is the phosphorescent water which glitters like twinkling stars. Alternatively, hiking in the jungle or float in a longtail boat is not a bad idea. And do not miss out the High Point Adventure Park with the best views of the jungle, ocean, and the core beach on the whole island. This is the time to pose several photos and save them in your memory. 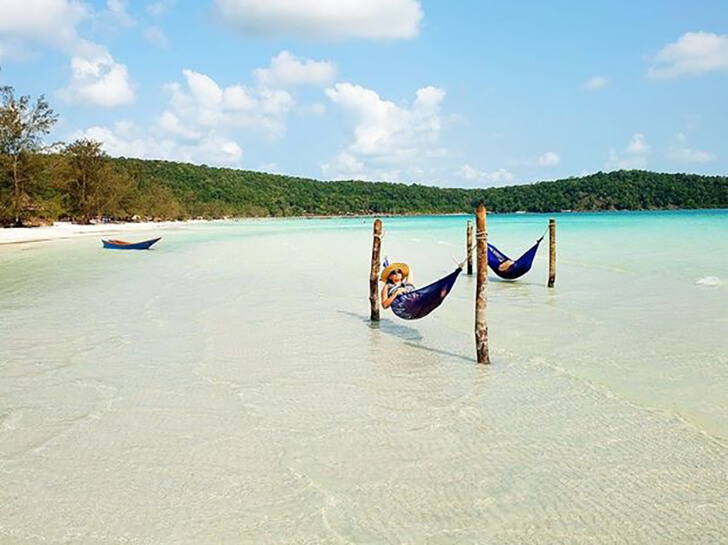 Relax in a peaceful place like Koh Rong is incredible! There is no doubt that you can have a worthy investment in your mind when landing off Koh Rong Cambodia. You enable to save much time to travel and go shopping thanks to the low costs. Also, you have an opportunity to be immerged in the natural environment and get relaxed as well. Add more vital vitamins to your brain is also a smart choice to balance your life.